We hand selected the very best in all facets of recovery services to help you get clean and healthy. Our two founders have over fifty years of sobriety together and have made the commitment to help others find their path. Our management team, counselors, medical professionals, and administrative staff have vast experience in recovery and most have been there themselves or love someone who has. For Bernie, AJ’s Amethyst House is a tribute to his wife Arlean and the work she has done in recovery. Bernie began his career by serving his country in the Army and has continued to give service to others ever since. Following the military he worked for Inland Steel, the third largest steel company in the world. 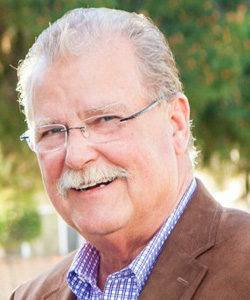 He was involved with numerous landmark buildings around the country such as the Sears Tower in Chicago and the World Trade Center Towers in New York City as well as the construction of many nuclear power plants.He is a very successful and accomplished commercial developer in the Temecula Valley and serves on several non-profit boards in the community. In addition to founding AJ’s Amethyst House, he is Chairman of the Board of Riverside Recovery Resources, one of the largest non-profit recovery services providers in Riverside County. Bernie has been in recovery since 1987. With almost 20 years of personal and professional experience in chemical dependency and co-occurring disorders, Tanya has counseled many families, adolescents and adults and helped them traverse the path of recovery. Tanya has been a program manager in an acute hospital setting and residential facilities. As the Executive Deputy Director of Aj’s Amethyst house Tanya brings the experience of her own personal recovery from drugs, alcohol, co-occurring disorders and co-dependency and is able to share that recovery with not only the clients but also in training staff. Tanya is also a certified equine assisted therapist and has worked with at risk youth and women and men from residential treatment facilities in Orange County, it is her goal to provide this incredibly healing experience to Aj’s house in the near future. Tanya is also certified in guided imagery. Guided imagery is a process that allows the unconscious to surface to the conscious levels and make changes in real time in a safe environment. Keith Goshay received his counseling education and certification from Saddleback College in Mission Viejo California in 1996. He has been continuing education for the past 20 years through numerous specific certifications including screening/assessments, anger/stress management, “the disease concept” including relapse prevention, parenting and supervisory training. 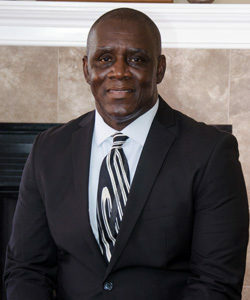 He has gained a strong skill sets designed to help patients recovery due to the various organizations he has had the opportunity to work for, and the numerous positions he has held within those organizations, and the wide array of clients he has had to pleasure to serve. For the last 8 years his focus has been on managing residential facilities and supervising the entire staff. He loves working in the helping profession and being able to guide and encourage those that are having a difficult time in their life is without parallel. 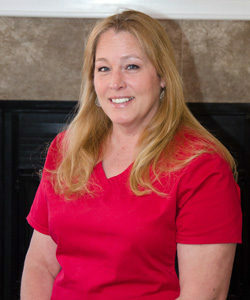 Jeannette Brewer is the licensed Vocational Nurse for Aj’s Amethyst House. 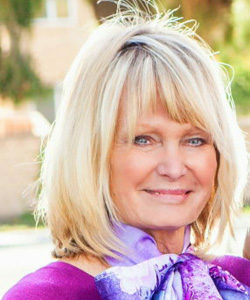 Jeannette studied at Mount San Jacinto College in Menifee, Ca and graduated at the top of her class in 2008. Jeanette has eight years of nursing experience in medical surgical, acute rehabilitation, substance abuse and detoxification. Jeanette has earned awards in outstanding patient care at Eisenhower Medical Center and users her skills and expertise in addition to her loving and compassionate care to help women in recovery. Gloria Flowers has been working in the field of substance abuse since 2001 and has been A Certified Addiction Specialist (CAS) since 2005. She is currently at Mid America Christian University working towards a BA in Psychology and has been with AJ’s Amethyst House since December 2014. Dezeirea started her career founding an outpatient program and working as a behavioral health technician. She graduated from the CCAPP Academy in January of 2016 to become a certified alcohol and drug counselor and is a case manager at AJs House mentoring women to pass on the beauty of recovery. Crisite Eastland has been in recovery since 2001. She has been in of addiction treatment since 2011. She is deeply passionate about supporting others on their path to recovery.